Jordan Brand enjoyed tremendous success with their banner model last year, the Air Jordan 2011. 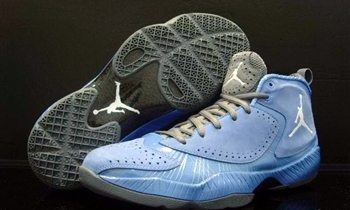 This year, they are also expected to hit strides with the Air Jordan 2012 that is expected to hit the market soon. This year’s Jordan Brand signature shoe has already surfaced and is expected to debut in a University Blue colorway this February or early March. The Uni Blue edition features a monotone designed accented with touches of white and gray Jumpman logo. Aside from the impressive look, this shoe features the Flywire technology and is made up from suede, making it a must-buy once it is released in the market!